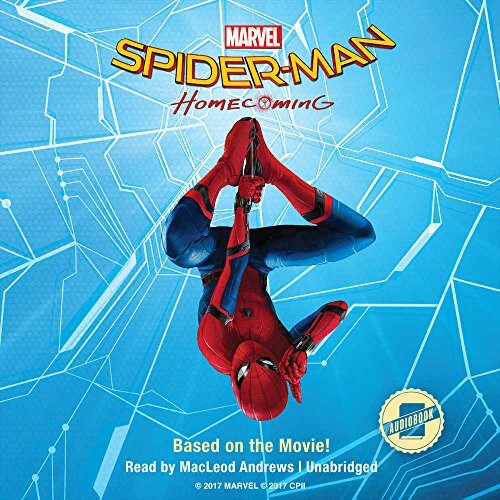 A junior novel based on the web-slinging teenaged hero in MARVEL's Spider-Man: Homecoming! Peter Parker is coming off the greatest experience of his life -- helping Tony Stark, aka Iron Man, during the Avenger's Civil War as the webslinging Spider-Man. He thinks he's ready to join the Avengers full-time, but balancing his responsibilities at school and at home with learning how to be a Super Hero is proving to be a little tougher than he thought. When a mysterious criminal introduces dangerous new tech to his neighborhood, Peter dons his brand-new high-tech Spider-Man suit and prepares to take on a threat unlike anything he's ever seen . . . If you have any questions about this product by Disney Press and Blackstone Audio, contact us by completing and submitting the form below. If you are looking for a specif part number, please include it with your message.